While overall job growth in February 2019 was slow, employment in construction, manufacturing and mining and logging actually decreased by 0.14 percent or 29,800 jobs. States in the Midwest and West regions experienced the biggest drops, with decreases of 21,500 and 17,400 jobs, respectively. The only Census region that saw increases was the South, with an increase of 3,400 jobs that is largely attributed to the South Atlantic division, which includes states from Delaware down to Florida. The biggest drag on blue collar jobs was construction. Employment in the sector fell by 31,000 jobs in February, bringing the three-month average in the sector to 12,670 jobs. As Dean Baker wrote earlier this month, part of this drop could be attributed to the increase of 53,000 jobs in January, but there is also evidence of weakening in residential and nonresidential construction. Again, the biggest losses were in the Midwest and West. The entire East North Central Census division — which consists of Indiana, Illinois, Michigan, Ohio and Wisconsin — saw a loss of 16,100 jobs. Weather is a possible explanation. 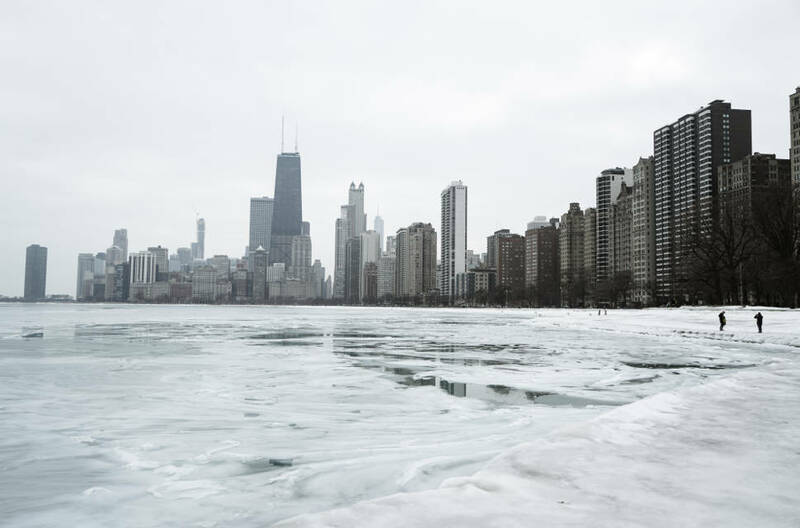 February was a terrible month for the Midwest, as Winter Storm Maya brought more than a foot of snow and subfreezing temperatures to many states in the Great Lakes region. States in the West also had a particularly soggy February. California, which not long ago was in a serious drought, received up to 18 trillion gallons of rain. The state saw a loss of 7,700 construction jobs. Construction in the Northeast and South fared somewhat better. Georgia saw an increase in 2,300 jobs, and Kentucky gained 1,000 jobs, a 1.25 percent increase from the previous month. Over the past six months, Kentucky has had a median of 0.57 percent growth in the sector, which hardly sounds like something to brag about until you look at its neighbors, Ohio, Virginia, and Tennessee. The exception is West Virginia, which has been experiencing growth in the sector but saw a loss of 700 jobs in February, likely an anomaly. It was a slow month for manufacturing, which increased by only 4,000 jobs. This is a 0.03 percent change from the previous month, which saw an increase of 21,000 jobs. Michigan and Arkansas saw the biggest increases in manufacturing, with 5,700 and 1,900 jobs respectively. Michigan has seen an increase in over 13,000 jobs in the sector over the last 12 months and over 207,000 jobs since the recession ended. The state is actually above its prerecession level of 598,100 jobs in the sector. Any gains in manufacturing were offset by a decline of 5,800 jobs in the Mid-Atlantic states, with New York and Pennsylvania making up the bulk of the losses. Growth in Pennsylvania has been stagnant since the recession ended, with a six-month average of 0.08 percent loss month-to-month in the sector. Its neighbor to the west, Ohio, has only fared slightly better — something that policymakers in West Virginia should take note of considering they are seeking to emulate those states by eliminating business inventory taxes for manufacturers as a means to boost job growth. Mining and logging lost 4,000 jobs, a 0.53 percent decrease from the previous month, which had seen an increase of 7,000 jobs. The bulk of the loss came from the West and South, with decreases in 1,800 and 1,600 jobs, respectively. Most of the losses in the South were in the West South Central division states of Arkansas, Louisiana and Texas, which saw the biggest loss at 1,100 jobs. It would be easy to write off the February jobs numbers for Texas as erratic considering the state has seen an increase of 19,900 jobs in the sector over the last 12 months. This also goes for the western states that saw losses in February. But Arkansas and Louisiana have lost 4,300 and 16,300 jobs in the sector, respectively, since the end of the recession. Overall, the February blue collar jobs numbers are not great. If weather were a factor, some of this will likely be corrected in the March jobs numbers. However, if there is weakening in residential and nonresidential construction and if the trade deficit resumes its rise (a big jump in December was largely reversed in January), we could start to see more of the slow growth or even declines that are already playing out in some states.